The Chan Zuckerberg Initiative is using technology to help solve some of our toughest challenges — from preventing and eradicating disease, to improving learning experiences for kids, to reforming the criminal justice system. Explore our job openings below! You will produce engaging content pieces, fresh, compelling and shareable social campaigns, and engaging creative to help build CZI’s social media presence and community. You will help bring Meta to the broader community of researchers around the world by leveraging data to understand product, identify areas of opportunity, and execute projects to drive growth and engagement of science product users. You will build, lead, and manage the machine learning research team for Scientific Knowledge, which operates at the intersection of CZI Technology (direct reporting) and CZI Science. You will help accelerate scientific discoveries in biomedical research by making and applying breakthroughs in biomedical natural language processing, knowledge representation and reasoning. You will work with engineers, PMs, and domain experts to answer high leverage problems using imperfect data. You will lead, develop, mentor and inspire a design team. This requires setting clear goals, managing project loads and allocating design team members, ensuring deadlines are met and setting up team members for overall success. We’re looking for a team leader passionate about innovation in education work to join our product design team. You will lead, develop, mentor and inspire a design team. This requires setting clear goals, managing project loads and allocating design team members, ensuring deadlines are met and setting up team members for overall success. You will partner closely with a cross-functional team to clearly understand human needs, generate meaningful product ideas and measure the impact of those ideas. We're looking for a Product Designer passionate about education and visual polish to join our product design team. You are experienced UX Researcher who can help our justice & opportunity team conduct exploratory and generative discovery research that will define what problems we want to design technology solutions for. You are passionate about education and helping build scalable processes. Our user base is growing quickly and your experience establishing design processes and systems will help our team scale to support their needs. You will continuously review best practices for the different learning measurement areas (both academic and non-academic) and identify and develop relationships with organizations and individuals with expertise to advance these goals. You will have the opportunity to work closely with a collaborative team of scientists, engineers, product managers, designers and user researchers, building software that accelerates the pace of the biological sciences. You will create technology products to support our mission in education, science, and advocacy and work with colleagues from a variety of different roles across the company as well as external partners, including educators, scientists, researchers, and policy makers. You are excited by the challenge of being the first employee responsible for building and securing the underlying systems of our business operations. You will join the Infrastructure organization, which works on building shared tools and platforms to be used across CZI. You will create technology products for communities, advocates, and practitioners within the criminal justice system. You will build technology solutions to help scale CZI and help to cultivate a culture of shared best practices and knowledge around data engineering. You will have a direct impact on all the data processing and presentation needs of the IDseq platform. You will work closely with other IDseq team members, with CZI’s shared infrastructure team, and with scientific collaborators to design, build and support technical solutions. You will work closely with our research science team and with our analytics team to design, build and support technical solutions. You will also support us in our ongoing goal of cultivating a culture of shared best practices and knowledge around data engineering. You will work closely with other APS team members, product team, research science team, and with our analytics team to design, build and support technical solutions. You will join the core infrastructure engineering team, build technology solutions used by other engineering teams at CZI to scale, and help cultivate a culture of shared best practices and knowledge around core engineering. You will be an integral part of the procurement process, interfacing and assisting the business with purchase requisitions and purchase orders. You will be primarily responsible for processing full cycle accounts payable, reviewing expense reimbursements, and managing AMEX transactions. Additionally, you will participate in a variety of ad hoc projects and process improvements. You are passionate about technology, thrive on providing amazing customer service and have the ability to thrive in fast-paced, environment. You will partner not just across the Infrastructure organization, but also with our Finance, Legal, and Facilities teams to enable CZI’s ongoing operations while driving process maturity. You will work alongside Software Engineers to ensure that we're designing and operating our systems with scalability and reliability in mind. You will join the Infrastructure organization that works on building shared tools and platforms to be used across all of CZI. You will partner with our Criminal Justice team to develop and execute a Movement Capacity Building strategy for our partner organizations, and oversee MCB contractors to create curriculum, facilitate ongoing training cohorts, execute multi-stakeholder convenings, and share best practices. You will be a key member of CZI’s growing Legal team focused on contracts management. As the Director of Grants Management, you will lead cross functional grantmaking and build and manage a critical part of our operational infrastructure that coordinated and processed over 500 grants across multiple entities in 2019. You will own all aspects of Building Systems, working cross functionally with Facilities, Property Management, end users, and vendors to ensure that building systems are properly operating. You will help develop, implement, and iterate on a grants process that effectively and efficiently meets the needs of our Science Initiative Team, our various charitable vehicles, and our portfolio of current and future partners. You will be a key partner and consultant to our hiring managers: you will develop, drive and execute recruiting and sourcing strategies to hire the best technical talent for our organization from traditional and non-traditional backgrounds. You will champion the overall design and management of our compensation, benefits, rewards programs. You will empower our teams to do their best work through people data, programs, and tools. You'll own all of the data and platforms for all team-related decisions and processes. You will be a key partner and consultant to our hiring managers, developing recruiting strategies to hire the best engineering talent with traditional and non-traditional backgrounds. You will identify and engage technical talent through creative sourcing strategies in order to build and scale our Technical team at CZI. 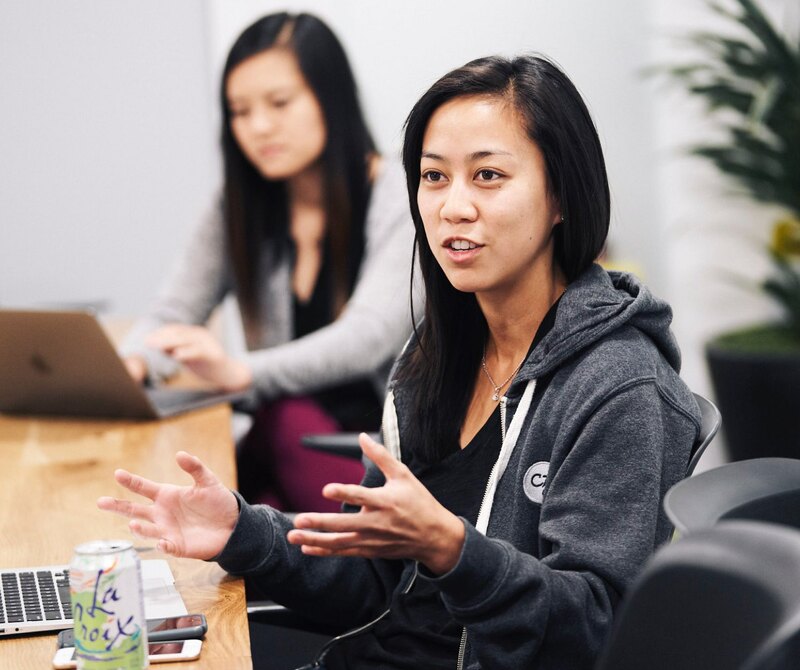 You will lead a team of product managers through product launch and growth, while championing a product vision and strategy for accelerating scientific research outcomes at scale. You will refine a shared vision for privacy and security across internal teams and external partners. As well as drive product decisions with a goal of improving privacy and security practices. As a Product Manager, you will define, plan, and launch technology for personalized learning toward delivering critical short- and long-term student outcomes. You are passionate about partnering with engineering and product teams in evaluating and managing security risks. You will be responsible for managing a security program for one or more of our initiatives, in addition to helping lead security initiatives which cut across CZI. Sorry! We currently do not have openings that match those criteria. Please try selecting fewer options.